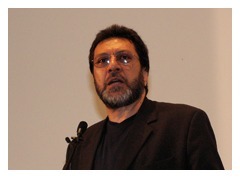 Speaking after recent reports that security services had foiled plans to launch “Mumbai-style” terror attacks in UK cities, Massoud Shadjareh, the Chairman of the Islamic Human Rights Commission (IHRC), has called on the media to treat such claims with scepticism. He called the claims “politically motivated” and warned that they served to “further demonise” a Muslim community that is already suffering hate crimes and feeling marginalised and under siege. “The latest claims of ‘Mumbai-style’ attacks having been foiled by US drone strikes in Pakistan need to be treated with a great deal of scepticism. The recent front page stories of an Islamic plot to assassinate the Pope in London, which turned out to be completely baseless, show how easily stories can be created out of nothing. We also have a long series of incidents in which stories apparently originating with the police or security services have turned out to be completely false or grossly exaggerated, from the supposed plot to blow up Old Trafford to the ‘Ricin’ chemical attack plot. “It is widely recognised that people and organizations of all kinds often have ulterior and self-interested motives for placing and exaggerating certain stories. Sadly, the police, politicians and security services are no exception. The problem with stories like the ones this morning is that there is no-one offering sceptical, balancing counter-arguments, with the result that any claims, however outlandish, are treated as facts. “But the people who make such claims, and the media sources who uncritically parrot them, have a responsibility for their consequences. We now have a community of nearly 2 million Muslims, including some of the most deprived and needy people in Britain, who feel marginalised and demonised; who are regularly discriminated against and treated with suspicion and contempt because of stories like this. “The Islamophobia which is being fed by stories such as this is reflected as much in the statements of some MPs, and the columns of some newspapers, as in the thuggery of groups like the English Defence League. The increasing number of hate-crimes against Muslims is a result of this criminalization of the community as a whole. “Muslims are now suffering a level of persecution comparable to that once suffered by Jews in Europe. We all look back to those days with abhorrence and disbelief at the levels of hatefulness that apparently reasonable people were capable of. For more information please contact the Press Office on (+44) 20 8904 4222 or (+44) 7958 522196, email: info@ihrc.org.